Interested in how Club OS could maximize your revenue? Let’s talk. Fill out the form below and we will be in touch shortly. Member turnover. It’s a common topic, or maybe problem is a better word, in the fitness industry. A lot of attention is paid to member churn generated through cancellation request, but cancellations are only half the battle. Agreement expirations, memberships which have reached the end of their contract period and are not renewed, are the other major cause of member churn. Having a strong workflow in place to contact and renew memberships nearing expiration is crucial for any gym or studio. While the simple solution is to funnel expirations into the same workflow already in place for cancellations, agreement expirations require a different approach. The biggest difference between cancellations and expirations is that one is reactive while the other is proactive. Cancellations are sparked by an action from the member: they request to cancel their membership. This puts staff in a position of reaction: responding to the request and attempting to save the membership. Vise versa, expirations are the result of inaction by the member: they have not requested to renew their membership as the contract end date approaches. This puts staff in a position of action: will they attempt to renew the membership or will they allow it to expire? Q1: What type of agreement expiration does the member have? The member’s agreement has a set contract period. If the agreement is not renewed by the expiration date then it converts to a month-to-month membership. The member continues billing until they request to cancel their agreement. While the member is no longer under contract, this expiration type does not immediately result in a loss of revenue for the club. The member’s agreement has a set contract period. If the agreement is not renewed by the expiration date then the membership is terminated, and the member is no longer liable for dues. 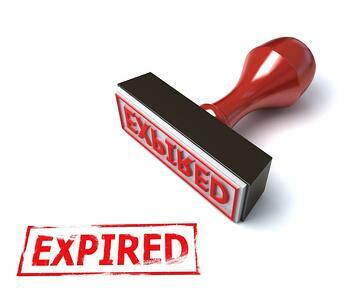 This expiration type results in a loss of revenue for the gym. If the member falls within the closed expiration category, staff have an imperative to secure an agreement renewal before the contract end date. This is because if they fail to renewal the agreement then the club loses revenue. Q2. Is the member likely to cancel if contacted? How frequently are they checking into the gym? How engaged with the club are they? Do they attend club events? Are they in group or private training? Have they expressed ongoing frustration with the facility, the staff, or the price? Infrequent check-ins, low club engagement, and open frustration with its services or staff identify a member as a high cancellation risk. In these situations, avoiding contact with the member and allowing their membership to convert to a month-to-month agreement may be a better option. Finally, once you've identified an expiring member as a strong candidate for renewal move them into a follow-up schedule and begin reaching out until a renewal appointment is booked. Not sure what to say to expiring members? Download our Cancellation and Expiration E-Book for free follow-up script templates!